Under the Veterinary Surgeons Act 1966 and the Veterinary Surgeon (Exemptions) Order 1962, we are legally required to contact your veterinary surgeon prior to the treatment of your dog to ensure your animal is in a state of health suitable for treatment. Therefore, can we please ask that you download our enquiry form and return it to info@cotswolddogspa.co.uk, alternatively give us a ring on 01452 702177. Once we have this information we will contact your veterinary surgeon directly for a full case history. Communication with your vet and other members of the multi-disciplinary team is important to us to give you, the client, an overall view of the rehabilitation process. We keep in contact with the involved parties at regular intervals thoughout the journey and will keep you included in this feedback. If you are seeing a physiotherapist elsewhere we will of course keep them included in this communication. 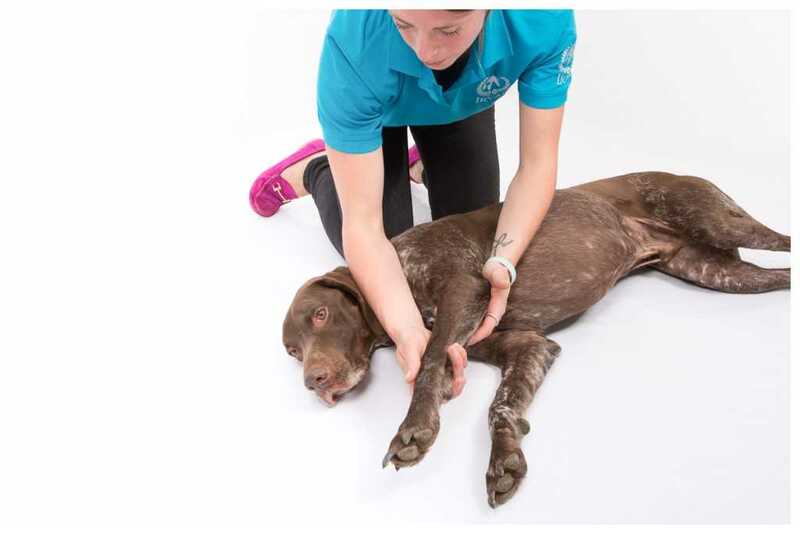 Here at Cotswold Dog Spa your dogs individual needs are at the forefront of every treatment. 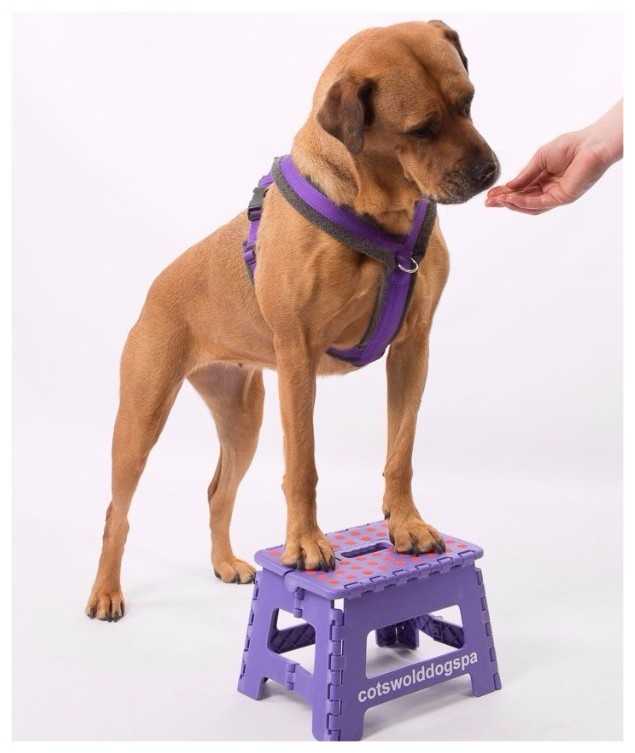 We aim to create a calm and confident environment for your dog in order to develop a trusting relationship, so that every experience with us is beneficial to their overall health, rehabilitation and fitness. The initial session will include an in depth verbal and physical assessment, including gait analysis, observation and measurements taken as marker for recovery if indicated. For example, we may take muscle mass measurements, allowing us to track their progress objectively and feedback to your veterinary surgeon. The first session will be a lased based session to ensure a full assessment and in depth discussion with owners to plan the best treatment for the individual animals rehabilitation process. This will include discussing home environment, setting goals with the owner, and designing a bespoke home exercise programme to promote a return function. 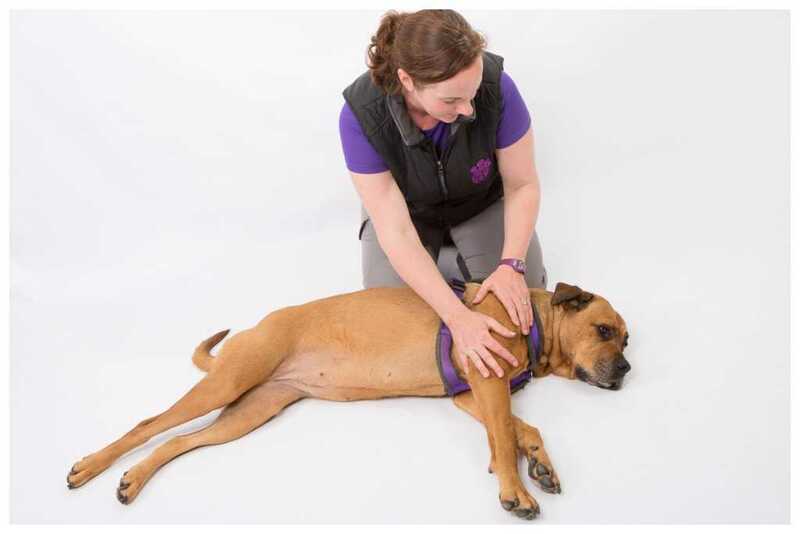 Our skilled therapists will use therapeutic handling throughout the session to ensure that your dogs are comfortable and to build a trusting relationship with them. The session will also include the use of a variety of techniques and modalities available within rehabilitation including: massage; stretching; electrotherapies; proprioceptive enhancement; and exercise programs. Please see our pre and post care info above for what to do on the day of your session. After devising a bespoke rehabilitation plan during your initial assessment, follow up sessions will be undertaken by our skilled therapists and utilise our many facilities available. This may include the use of: the hydrotherapy pool or treadmill, massage, stretching, LASER, proprioceptive enhancement and further discussion about exercise programs. 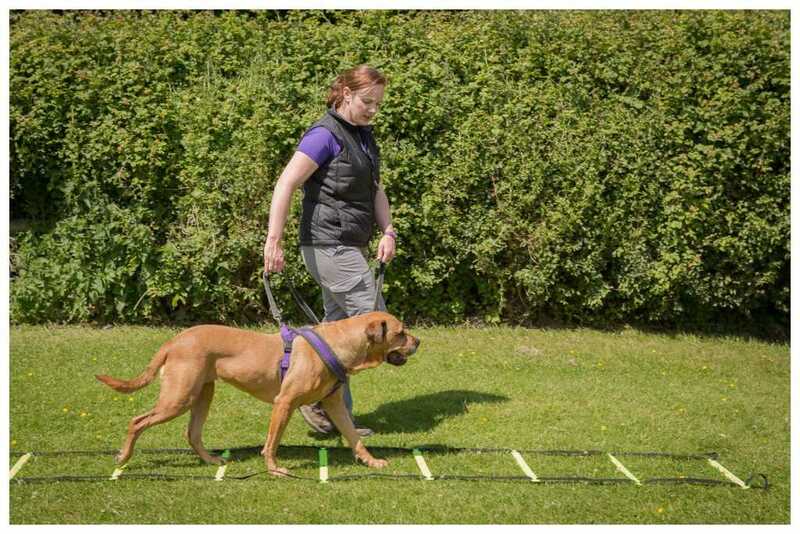 An example rehabilitation plan can be seen below, please note that this is just an example and all plans are catered to the individual animal and clients needs, and are therefore flexible throughout the rehabilitation process. The plan below outlines all of the options that may be available to your animal based on our available facilities. Prior to your initial session, our team will contact your veterinary surgeon to obtain a referral for your animals treatment, as well as discuss your animals needs further if required. Your initial appointment will be conducted as described above including an in depth assessment and treatment, and a bespoke rehabilitation plan will be devised. 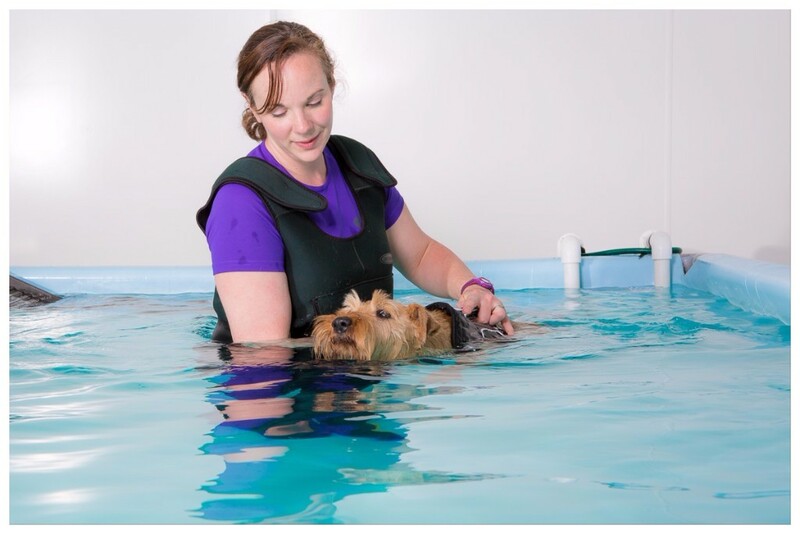 Should a second session be advised during the first week this may involve an introduction to water based treatment (either in our hydrotherapy pool or treadmill), or further land based treatment if deemed more appropriate. In some cases this session may also include LASER treatment. (Session 3 – for cases where LASER treatment has been recommended a third session may be required within the first week. Please see our facilities page for more information on LASER). Depending on how your animal is responding to the treatment during week 1 this session may be an initial or further introduction to water based treatment, coupled with further land based treatment. (Session 2 - for cases where LASER treatment has been recommended a second session may be required within the second week. Please see our facilities page for more information on LASER). Should your animal have been introduced to the water, this weeks session will likely be a land based session with a re-assessment, including re taking measurement markers to assess their progression, as well as a home programme review. (Session 2 - for cases where LASER treatment has been recommended a second session may be required within the third week. Please see our facilities page for more information on LASER). A continuation of the rehabilitation plan with weekly land and/or water based treatment. Sessions may include the use of LASER in cases where its use has been recommended. 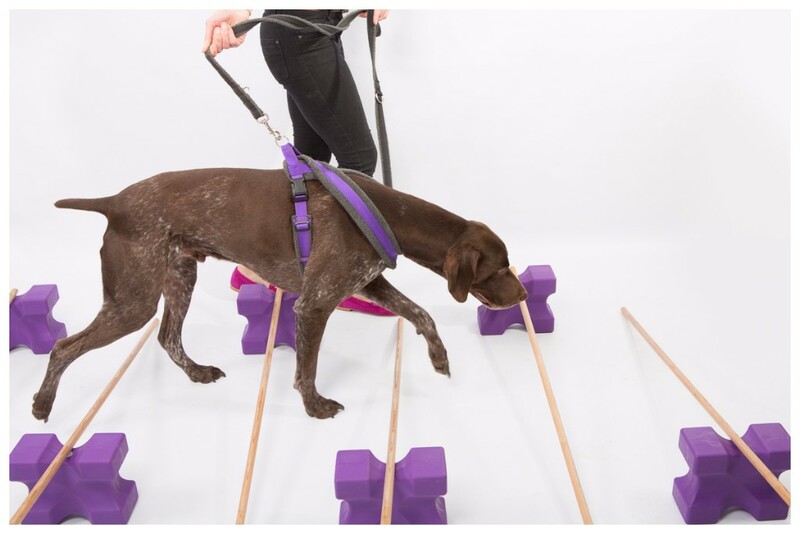 Provided your animal is progressing nicely, we advise extending the interval between sessions to fortnightly to spread out the duration of time that they receive rehabilitation over. These sessions will be a continuation of the rehabilitation plan with land and/or water based treatment. Sessions may include the use of LASER in cases where its use has been recommended. This weeks session will likely be land based with a re-assessment including re taking measurement markers to assess their progression, as well as a home programme review/sign off. Should your therapist, yourself and your animal be happy with the progress and stage they are at within the rehabilitation process, your animal will be signed off from rehabilitation. However, with many conditions their management is life long, therefore monthly 'maintenance' plans are often advised. However, if this is not viable advise will be given for a home programme going forward, and we are always here should anyone wish to come back! Land and/or water based monthly 'maintenance' review sessions, if required.